Ironically during the airing of Inside the Mind of Google on CNBC, Microsoft’s Bing decision engine decided to make itself unavailabe to searchers. 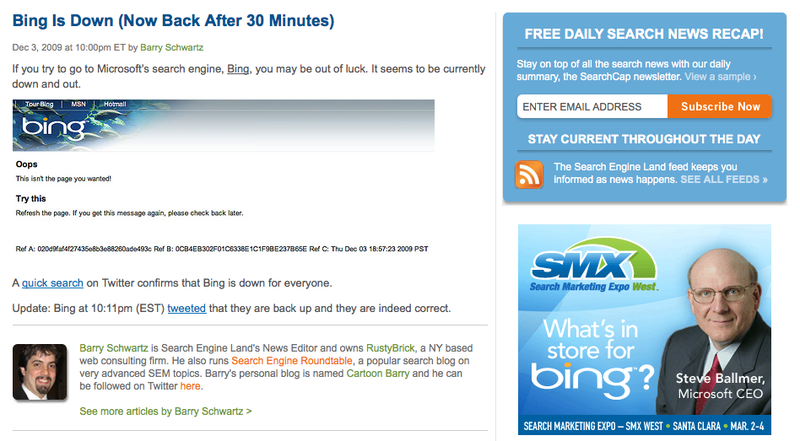 Checking around for blog coverage about the Bing outage, I found even more irony. Search Engine Land’s coverage of the story was inadvertently accompanied by a display ad featuring Steve Ballmer’s upcoming keynote speech at Search Marketing Expo West in March.